The ABC Theatre, Church Street, Blackpool. 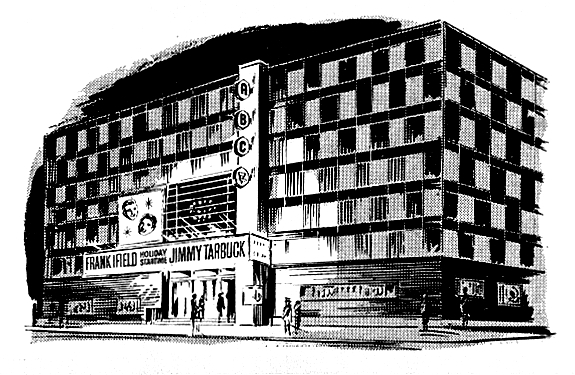 In 1962-3, the Hippodrome was remodelled at a cost of over £350,000. It embodied 'all the facets of contemporary design with emphasis placed throughout on good taste and comfort.' 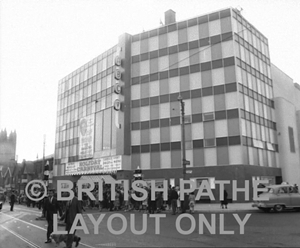 Renamed the 'ABC Theatre' it was opened by the Mayor of Blackpool on Friday, 31st May, 1963. 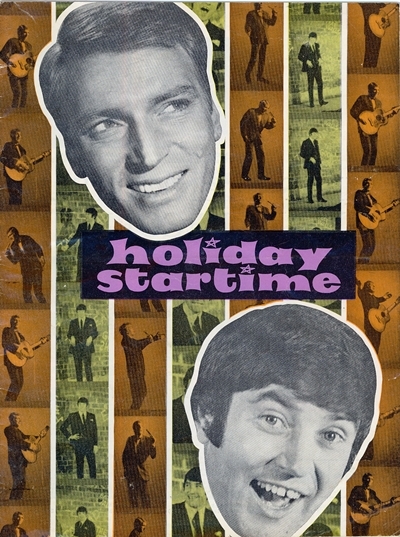 After the impressive formal ceremony, a celebrity-packed audience watched the first performance of Leslie Grade's spectacular production "Holiday Carnival" which starred Cliff Richard and The Shadows. Click on the photo (right) to view brief film of the opening; the Pathe website will open in a new window. The part showing the ABC Theatre, Bruce Welch & Cliff Richard is at the end of the news clip after other news items including Blackpool & Manchester in 1963. The ABC Cinema, Church Street, Blackpool, in the 1960s. 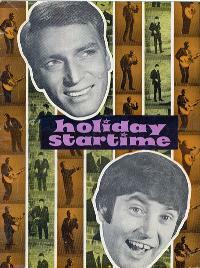 Between 1963 & 1967, the ABC staged four successful summer stage shows and a great number of one-night-stand `pop' concerts. In the late 1960s, ABC television moved into the theatre every Sunday night during the season and successfully produced their television show which has been seen by the entire ITV network. During the out-of-season months, the theatre showed selected pre-release films. Revolver Live at Blackpool ABC Theatre 1964/1965 (opens in a new window). The Beatles Performing Live At The ABC Theatre, Blackpool, For Their Appearance OnThe Variety Show 'Blackpool Night Out' On August 1, 1965. (opens in a new window). 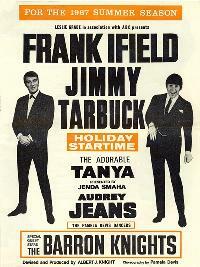 Holiday Startime at the ABC, Church Street, Blackpool, 1967, starring Frank Ifield & Jimmy Tarbuck. Click on the image to enlarge. 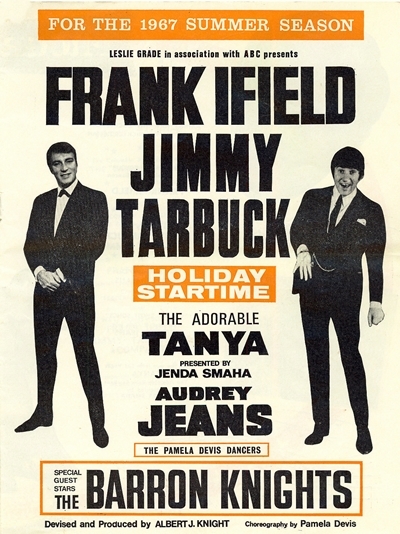 Holiday Startime at the ABC, Church Street, Blackpool, 1967, starring Frank Ifield, Jimmy Tarbuck and guest stars the Barron Knights. Click on the image to enlarge. 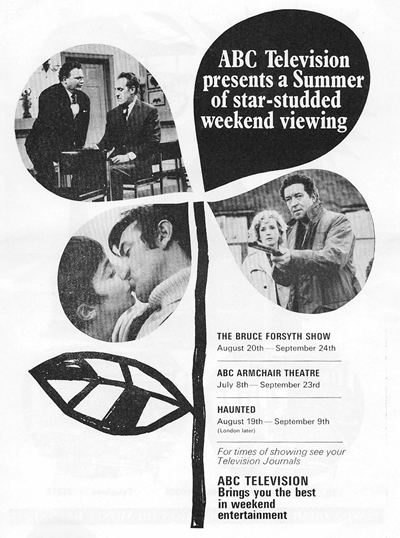 An advert for ABC Television, 1967; Bruce Forsyth Show, ABC Armchair Theatre and Haunted. Click on the image to enlarge. In 1981 the building was converted into a three screen cinema which reopened on 30 April 1981. It was renamed the Cannon Cinema in 1986 and then the MGM Cinema in May 1993; it eventually closed in December 19981. The building was purchased by local entrepreneurs Mike and Sandra Nordwind in the summer of 2001 for about £4million. The interior was gutted and the 1960s exterior removed revealing parts of the original building before being converted into a nightclub. The Syndicate Superclub opened in December 2002; for more information see the link below.